Before I go any further, let me take this opportunity to thank NOAA and Teacher at Sea for such a wonderful opportunity! I can’t wait to learn all about life at sea and to have an up-close view of oceanographic fisheries research. On this cruise, we will be studying Pacific Hake. Because I have not personally had the chance to experience our research yet, let me show you this quote from the NOAA website regarding our project. Click HERE if you’d like to see the full description. “Pacific whiting, or hake, is a prevalent fish species found off the West Coast of the United States and Canada. 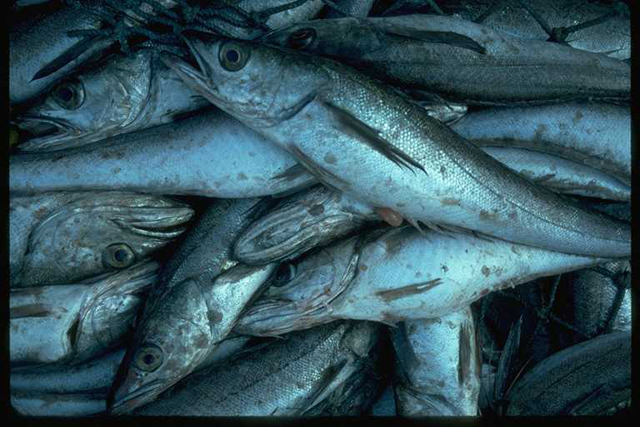 There are three stocks of Pacific whiting: a migratory coastal stock, ranging from southern Baja California to Queen Charlotte Sound; a central-south Puget Sound stock; and a Strait of Georgia stock. While the status of the latter stocks has declined considerably, the coastal stock remains large and is the most abundant commercial fish stock on the Pacific Coast. We’re going to be studying the hake populations off the coast of the US Northwest. It appears I’ll get really used to seeing these! I’ll be aboard the Bell M. Shimada, which was built to do acoustic trawls along the west coast (exactly what we’re doing). It was commissioned in 2010 and is named after Bell Shimada, a fisheries specialist who is known for his study of tuna populations. I’ll be honest – I’m a little nervous to be on this voyage with such experienced scientists! While I do love science, I do not teach it during the school year. I teach math and English. I always tell my students that “math and science are married,” and I try to do as many cross-curricular connections as possible. One of the things I’m excited about for this trip is to get pictures and recordings of the many ways math is used in our research. I can’t wait to integrate that into my units next year and take my math students on a “virtual voyage” with me. Putting math into practical contexts makes it a lot more fun. When I’m not teaching, I spend a lot of time with my family. My family includes my husband, my awesome dogs, my evil cat, and, well, I guess I’ll include my husband’s best friend who’s been living with us on and off for the past year. He’s sort of in our family now. Living with two men and a bunch of animals feels a little like a sitcom at times, but I laugh a lot. My newfound favorite hobby is cycling. My husband and I did a bike trip across Ireland earlier this summer, so I spent quite a few months training up for that. It was an absolute blast, and I recommend it to everyone. You should do it! The one thing that people ask me when they hear I’m going on this voyage is, “Do you get seasick?” My answer is always the same: “We’re about to find out.” I’ve never spent the night on a boat before, so sixteen in a row is going to be quite the experience. I’ve packed four different types of seasickness medications, so hopefully something works! Bell Shimada died in 1958 in a plane crash while on his way to conduct research in Mexico. At the time, it was Mexico’s deadliest aviation crash to date. Even though he only lived to be thirty-six, his legacy has stood the test of time. 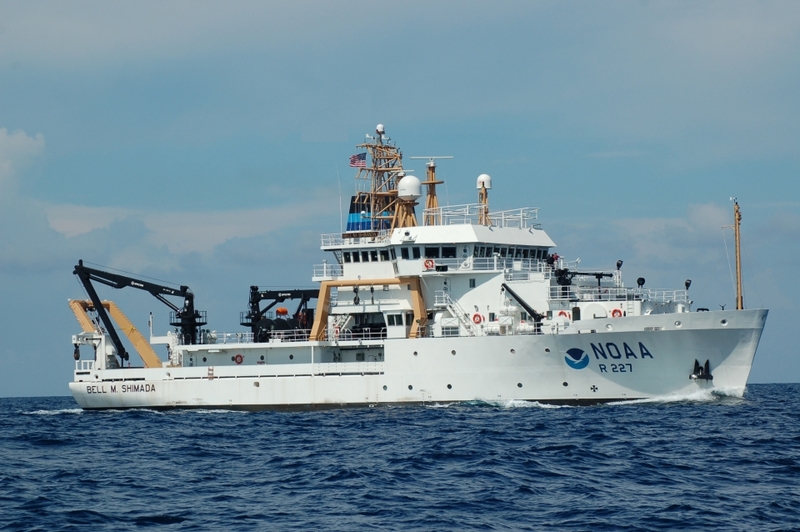 This entry was posted in 2017, Christine Webb, NOAA Teacher at Sea and tagged Bell Shimada, introduction, NOAA Ship Bell M. Shimada, Pacific hake. Bookmark the permalink.